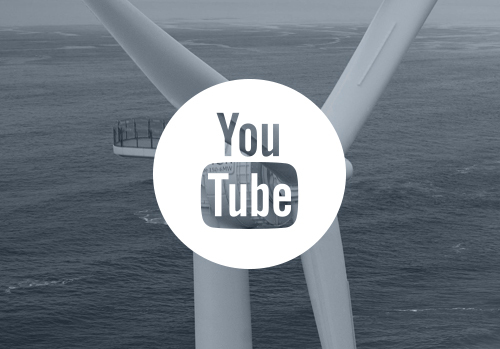 Floatgen will be France’s first offshore wind turbine. As the name suggests, it will also be a floating wind turbine. A project that is, therefore, pioneering in more than one way. 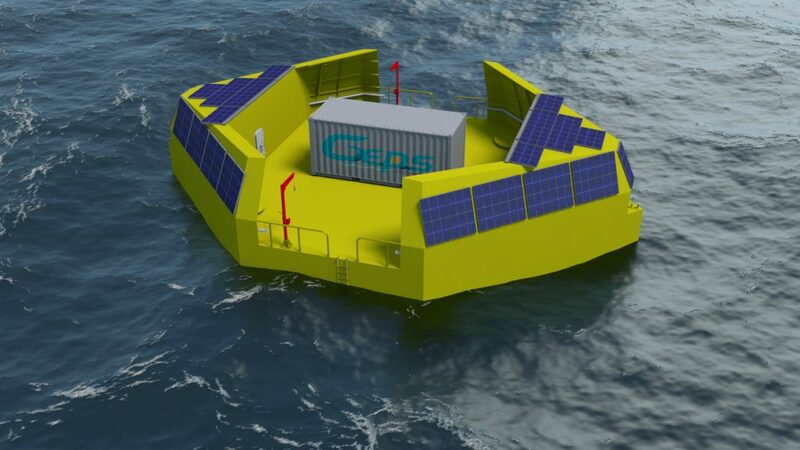 Construction of Floatgen was officially launched at the international Seanergy forum being held in Biarritz. 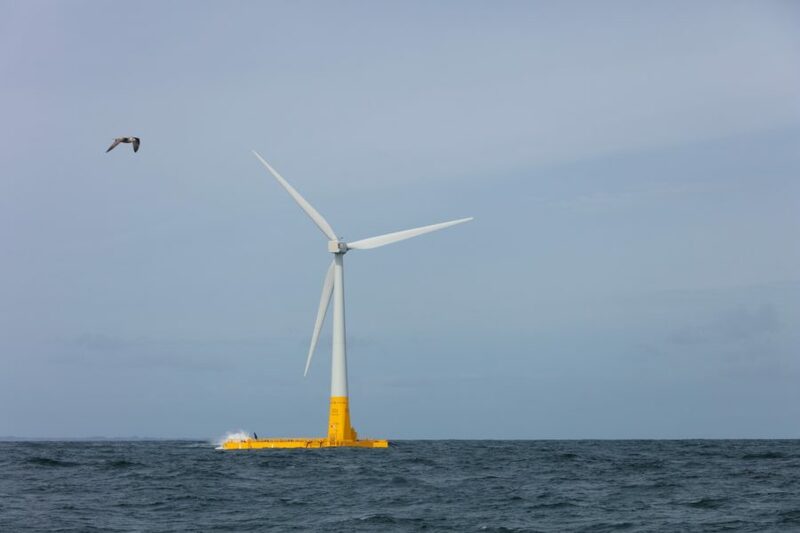 The first wind turbine installed off the French coast will also offer an opportunity to test a floating wind turbine in real conditions. 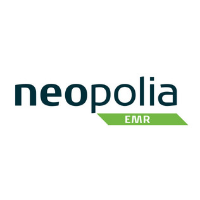 This initial demonstrator contributes to a promising technology and represents a strategic emerging market. The project, which was started in 2013, brings together seven European partners, of which three are French. 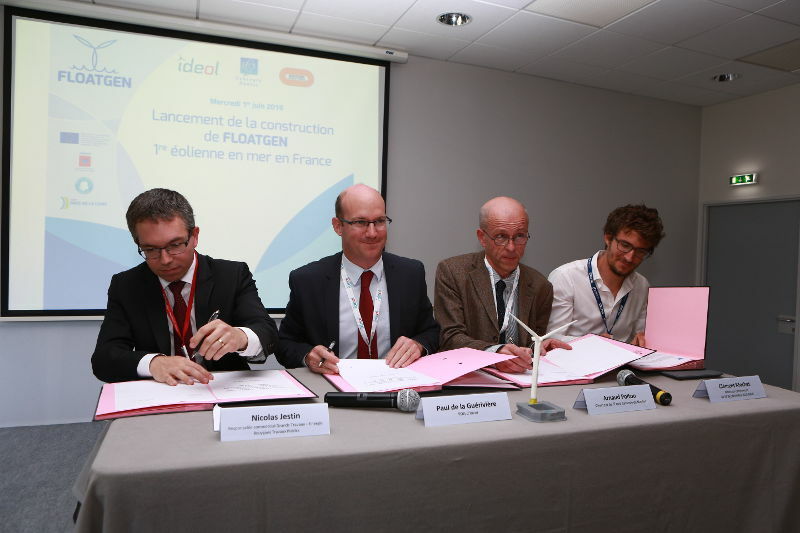 Bouygues Travaux Publics is building the floating foundation; Ideol is designing and supplying the entire floating system and wind turbine, while the École Centrale de Nantes is contributing its expertise in ocean engineering and providing access to its marine test site. For Arnaud Poitou, Director of the École Centrale de Nantes, Floatgen is an “event that will mark the school’s history. Our marine test site, SemRev*, a visionary project that began in 2007, is proving itself to be an essential tool for the development of a new industrial sector in France“. The Floatgen demonstrator is built on a ring-shaped surface-floating platform measuring 36 metres on the sides and 9 metres in height. The wind turbine represents a power of 2 MW. The entire system will be built at the port of Saint-Nazaire, beginning in September, creating almost 80 jobs. Installation on the SemRev site, connection to the grid and commissioning are planned for the second half of 2017. * Supported financially by the Pays de la Loire region.